There's a simple and shabby MT350 for sale in the Netherlands at the moment, that seller wants €6200,- Last year one was really sold for €6500,-! Are those sellers and buyers nuts or have prices gone up? A bit of both perhaps. Ive seen them advertised for 4 or 5 grand before, but whether anyone has ever paid that much I don't know . 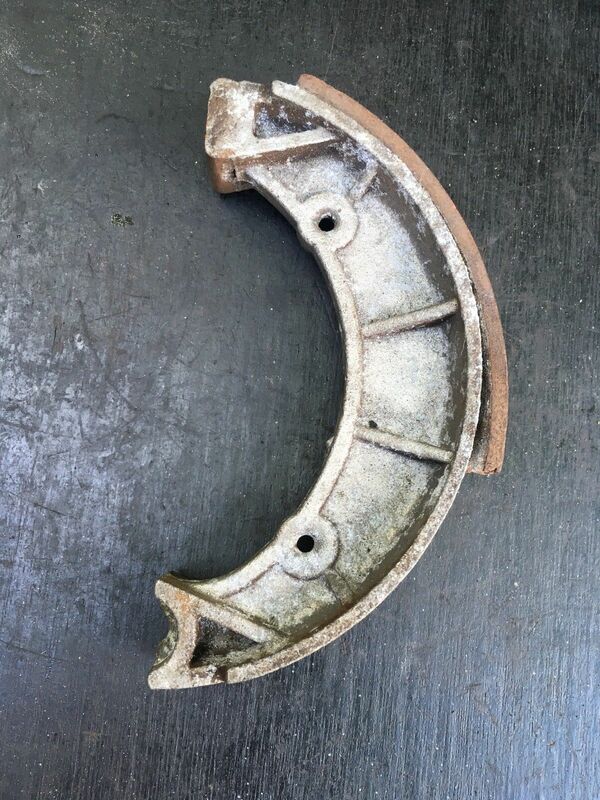 As for a second hand completely knackered brake shoe, the mind boggles , why would anyone in their right mind want to sell or buy that ,it is just a complete useless piece of rubbish , just stick it in the bin !